If you wish to leave a legacy to your children or other beneficiaries after your death, it is imperative that you have an estate plan that will ensure prompt and accurate distribution of your assets. Many people think that writing a will is the best way to do this. However, while a will is important, putting your assets into a revocable living trust can provide several additional benefits. In order to distribute assets according to the terms of a will, the will must go through the probate process. This involves filing various court documents required by law to establish the value of each asset and to re-title each asset from the deceased’s name to the recipient’s name. This can be a long, drawn-out process. One of probate’s most serious drawbacks is the freezing of assets. Specifically, any assets that are held solely in the name of the deceased are frozen upon their death. Imagine a married couple who amassed several large investment and retirement accounts and multiple pieces of real estate during their lifetime. Upon the death of both spouses, their children cannot touch any of the assets until a probate court judge approves the will and appoints a Personal Representative to handle the estate. Leaving large investment accounts without active management can be risky. By comparison, imagine that all of the couple’s assets had been placed in a living trust, meaning that the assets are titled in the name of the trust rather than in the name of any individual. Upon the death of the trust-maker, their designated successor has immediate access to the assets of the trust. Imagine our married couple has three children and has a will. Upon the death of both spouses and probate action, the assets of the estate must be divided amongst the named heirs. Assuming the estate is to be divided equally among the three children, the inherited assets are now at risk to creditors, bankruptcy, a lawsuit, or a divorce. Creditors. If the married couple had all of their assets in a trust, ownership of those assets can remain titled in the name of the trust indefinitely. Because the assets are not titled in the individual children’s names, the assets are protected from creditors, even if one child files for bankruptcy or gets divorced. The beneficiaries named in the trust will have access to the assets in accordance with the directions specified in the trust documents. Heirs with disabilities. Upon the death of the spouses, one child (or an objective third party such as a bank) could be named as the successor trustee with directions to manage the trust in a certain way. This approach can be used to ensure that the use of the assets is prioritized in some way, such as to meet the basic needs of a child or grandchild with a disability. Keeping the assets in the trust can also serve to protect the right of a disabled heir to receive needs-based government benefits. Underage heirs. Keeping the trust open with a successor trustee can also be beneficial for heirs who have not yet reached adulthood. When a will leaves assets to a minor, the probate court must appoint a conservator to manage the minor’s assets. Once our fictional married couple has died, there is no telling who that conservator might be and what decisions they might make. In contrast, assets left in a trust can be managed according to specific directions written into the trust. Thus, the maker of the trust can dictate when and for what purposes a youthful (or even as-yet unborn) heir can access their inheritance. A well-thought-out living trust can give you greater peace of mind and benefit your heirs in the long run. To discuss options for writing or updating a living trust, call an experienced Schaumburg living trust attorney at Drost, Gilbert, Andrew & Apicella, LLC. We have prepared living trusts for many high-asset families with complex issues of inheritance. To set up a free initial consultation, call 847-934-6000. People who have saved money or accumulated assets over the course of their lifetime will often want to pass these assets on to their loved ones, either before or after their death. This is especially true when family members have disabilities or other special needs. However, when providing financial assistance to these family members, it is important to make sure that doing so will not make them ineligible for the public benefits they need to meet their needs. An experienced estate planning attorney can help you protect your loved ones’ interests by establishing a special needs trust. People with mental or physical disabilities are usually able to receive government benefits such as Supplemental Security Income (SSI) or Medicaid. However, eligibility for these benefits is based on the income earned and assets owned by the recipient; in most cases, a recipient must own no more than $2,000 in assets, and there are also limits on the amount of income they can earn. This means that if a well-meaning family member gives them money or other assets, either through a direct gift or an inheritance, it may make them ineligible for the benefits they need. To avoid jeopardizing a disabled person’s ability to receive public benefits, their family members can use a special needs trust (sometimes called a supplemental needs trust). This is a type of irrevocable trust in which the assets will be placed under the control of a trustee, which could be another family member or a financial institution. The trustee will then ensure that the assets are used to provide for the beneficiary’s needs. There are specific rules that must be followed in special needs trusts. For instance, the trust can only be used to pay for certain expenses related to the beneficiary’s care, such as the costs of medical equipment, caretakers, transportation, or educational expenses. Using funds from a trust to pay for food or housing may make a beneficiary ineligible for public aid. Since a disabled person will often need assistance throughout their entire life, it is important to ensure that trusts are set up in a way that will provide them with the resources they need for many years to come. An Arlington Heights estate planning lawyer at Drost, Gilbert, Andrew & Apicella, LLC can help you create a special needs trust that meets your loved one’s needs, and we can help you address any other estate planning needs, ensuring that you can provide for your family both before and after your death. Contact us at 847-934-6000 to arrange a personalized consultation. The thought of planning for what should happen after one’s death is often too morbid for many people to want to consider. However, doing so is incredibly important, since you want to be sure that your wishes will be followed correctly and that your heirs will be able to receive the assets you plan to pass on to them with minimal complications. While you may think that the estate planning process begins and ends with the creation of a last will and testament, another tool that can be very powerful is a living trust. When a person dies, the executor of their estate will enter their will into probate court, which is a process that can be lengthy and expensive as the court reviews the will and approves the paying of debts and taxes and the passing of assets to beneficiaries. The will is entered into public court records, meaning that the family’s personal business is available to be viewed by anyone who wants to examine the court documents. A trust, on the other hand, does not have to go through the probate process. This will allow assets to be passed to beneficiaries much more quickly and with fewer complications, and it will also ensure that the details about the estate are kept private. In many cases, when a person becomes ill or incapacitated or is no longer able to manage their own affairs, a friend or family member is named as their legal guardian. Guardianship will often not only give a guardian control of a person’s health and personal care, but also their financial affairs. This type of situation is not ideal, but a living trust can help you avoid losing control of your finances by addressing how things should be handled if you are incapacitated. Your trust can specify what conditions should exist for you to be declared incapacitated or mentally incompetent, and it can name a successor trustee who will manage the trust in this situation. The trustee can ensure that you have the financial resources you need to provide for your own care, while preserving your assets to pass on to your beneficiaries after your death. If you want to know more about how to use a living trust to protect your assets and pass them to your heirs, the attorneys of Drost, Gilbert, Andrew & Apicella, LLC can answer your questions and work with you to create a comprehensive estate plan. Contact a Schaumburg living trust lawyer today at 847-934-6000 to schedule a personalized consultation. When Can a Trustee Be Held Personally Liable for Acts Done While Acting As a Trustee? As a trustee, you are responsible for managing the trust and working with the beneficiaries. You have a fiduciary duty, or a legal obligation, to act solely in the interest of the beneficiaries by fulfilling the instructions of the trust as the trustor has required. A trustee must be respectful and careful, loyal, and impartial when serving as the trustee, and cannot take advantage of his or her trusted position to self-deal or glean benefits for him or herself from the trust. Developing a full understanding of what the legal obligations are as a trustee can be confusing, especially if you have limited legal experience dealing with trusts. An experienced estate planning and trusts lawyer at can assist you. - A trustee can be held personally liable for any interest and/or penalties that accrue for taxes filings that are made late. Liability exists because filing the appropriate tax forms on behalf of the trust is a responsibility that lies with the trustee. - A trustee could be held financially liable for losses on stock diversifications on behalf of the trust, or a failure to diversify, if losses are substantial. The trustee has an obligation to serve in the best interests of the trust beneficiaries, and failing to diversify when stocks are concentrated in a single company can lead to a significant loss in value of the trust. - A trustee can be held liable for commingling personal finances and the trust finances, especially in situations where the trustee is a family member to the beneficiaries. A trustee can avoid the appearance of impropriety by maintaining clear and thorough accounting records of the finances of the trust, and clear documentation regarding his or her personal finances. If you have concerns that your trustee is in breach of his or her fiduciary duties, or if you are a trustee with concerns about a course of action for the trust you manage, please feel free to contact one of our experienced Illinois estate planning attorneys today. Our firm serves the communities of Inverness, Palatine, Schaumburg, Arlington Heights, Long Grove, Kenilworth, Riverwoods, Barrington, South Barrington, and Mount Prospect. The Department of Veterans Affairs (VA) provides our nation’s veterans with important benefits after they have been discharged from service. In order to qualify for those benefits, veterans must meet certain requirements. For some veterans, it may be necessary to transfer assets into an irrevocable trust to lower his or her net worth. 5. Countable family income must be below the yearly limit as set by law. Veterans who are concerned about their level of net worth may consider forming an irrevocable trust. By creating an irrevocable trust, net worth can be reduced in order to qualify for the Veterans Pension. The VA does not assess a penalty for transferring assets as long as that transfer occurs prior to filing a claim or notifying the VA of an intent to file a claim. The determination of net worth is subjective—the VA has discretion in determining whether a veteran’s assets are too large to qualify for the Veterans Pension. An irrevocable trust can be used to hold assets that are provided by a veteran in order to reduce net worth. Importantly, a veteran claiming benefits (as well as his or her spouse) cannot be an income or principal beneficiary of the trust established in order to obtain VA benefits. This is because the VA requires that the rights to property and income from that property be actually relinquished to be considered a reduction of net worth. A second issue relates to whether to form the trust as a grantor trust or a non-grantor trust. The VA compares income reported to it with Supplemental Security Income (SSI) and Internal Revenue Service (IRS) income records through a process called Income Verification Match (IVM). Due to the nature of a grantor trust, there may be a discrepancy between income reported to the VA and income that appears with IRS filings. Under a grantor trust, all items within the trust are taxed to the grantor on his or her personal income tax return. Ordinarily, the grantor is the person who funds the trust, which, in this case, is the veteran claiming benefits. The VA may assume that the tax reported on the veteran’s tax return is based on income of the veteran, which may lead to lower (or complete denial of) benefits. Therefore, a non-grantor trust, in which the trust is responsible for any tax, is likely more desirable, in an attempt to avoid this potential issue. If you would like more information on the formation of a trust, reach out to a skilled Illinois estate planning attorney today. Our firm proudly helps individuals in the communities of Inverness, Schaumburg, Palatine, Arlington Heights, Kenilworth, Long Grove, Riverwoods, Barrington, South Barrington, and Mount Prospect. We look forward to hearing from you. 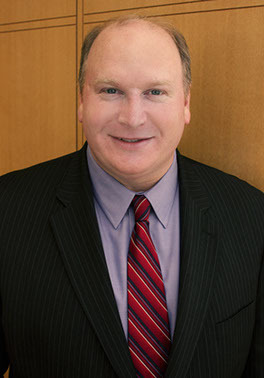 Attorney Jay Andrew is a founding partner of Drost, Gilbert, Andrew & Apicella, LLC. He is a graduate of the University of Dayton School of Law and has been practicing in estate planning, probate, trust administration, real estate law, residential/ commercial leasing, contracts, and civil litigation. Since 2005, Jay has been a Chair of the Mock Trial Committee for the Annual Northwest Suburban Bar Association High School Mock Trial Invitation which serves over 240 local Illinois students each year. Trusts are versatile, useful legal instruments that allow the grantor (the person who sets up the trust) to set aside certain money or other assets for the use of another person (the beneficiary). However, the beneficiary does not have direct access to the assets. Instead, the trust is managed by a trustee whose job it is to control the assets and use them in the beneficiary’s best interest. This makes choosing the trustee one of the most important parts of setting up a trust. - They are regulated to prevent fraud. 1. Experienced Administrators: Institutional trustees have experience managing trusts. This allows them to easily navigate the legal requirements for trustees. Furthermore, many trustees are responsible for investing the trust’s assets. Banks and other institutional trustees are often professional investors who will be able to handle the task better than friends or family. 2. Strong Recordkeeping: Trusts also have fairly extensive recordkeeping requirements to prevent fraud on the part of the trustee. Institutional trustees have the infrastructure in place to make sure that important documents, like tax returns, are filed on time and do not get misplaced. Furthermore, the use of an institutional trustee prevents this complex work from being pushed onto a friend or family member. 3. Management Continuity: The corporate nature of institutional trustees also allows for continuity in the trust’s management. Trusts can last for decades and decades. An individual trustee may not be physically or mentally capable of managing a trust for its entire duration. Conversely, institutional trustees have the ability to smoothly transfer trust administration from one employee to the next, allowing for steady management of the assets. 4. Unbiased Distribution: Additionally, institutional trustees can eliminate the possibility of bias that might exist with trustees who are friends or family. The company would not have any prior history with particular beneficiaries that might interfere with the fair and evenhanded use of the trust’s assets. 5. Fraud Protection: Finally, institutional trustees have fraud prevention mechanisms in place. Although everyone would like to think that their friends or family members are above reproach, cases of theft on the part of the trustee do happen. Many institutional trustees are subject to government regulation and auditing requirements that can reduce the risk of fraud on their parts. If you are interested in setting up a trust, consult with an Illinois estate planning lawyer to tailor one to your specific situation. Our attorneys lend their experience to clients across the northwest suburban area, including in Long Grove, Riverwoods, and Kenilworth. About the Author: Attorney Jay Andrew is a founding partner of Drost, Gilbert, Andrew & Apicella, LLC. He is a graduate of the University of Dayton School of Law and has been practicing in estate planning, probate, trust administration, real estate law, residential/commercial leasing, contracts, and civil litigation. Since 2005, Jay has been a Chair of the Mock Trial Committee for the Annual Northwest Suburban Bar Association High School Mock Trial Invitation which serves over 240 local Illinois students each year. Dynasty trusts are a new type of trust that can be used to minimize the burden of certain taxes that the government levies on inheritance by holding the inheritance in a trust for many generations. These trusts have become more popular in recent years as states have begun to relax or abolish a legal doctrine known as the rule against perpetuities. The rule is a complex legal doctrine that limited the length of trusts and other legal instruments to only lasting a certain period of time, usually about two or three generations, depending on a variety of factors. Now that the rule is being relaxed, it has made dynasty trusts a more viable option. Simply put, a dynasty trust is a trust that holds assets from which future generations will benefit. This has important tax consequences because assets placed into a dynasty trust are subject to the federal estate/gift tax only once. This means that the assets can flow down to further generations without future estate taxes. For instance, if a person left $10,000,000 to their child without using a trust, this would exceed the gift/estate tax exemption, so it would be subject to the tax. Then, if that inheritance appreciated in value and the child passed it on to a grandchild, it would be subject to another round of taxes. If, instead of simply passing the money down in the first place, the person had placed it into a dynasty trust, then the original $10,000,000 would be taxed at that point, but it the appreciated amount would not be subject to another estate tax when it went to the grandchild. Another benefit of the dynasty trust is that it can help reduce the effects of the generation skipping transfer tax (GST). The GST exists because people used to leave money directly to their grandchildren in an effort to avoid the double estate tax of the previous example. The GST can take as much as 55 percent of the money passed down to grandchildren in excess of $1,000,000. If the dynasty trust is created using that $1,000,000 dollar exemption, then it can sizably reduce the burden of transfer taxes on future generations. This means that the dynasty trust can be a very useful estate planning tool for people with large families, or those who have enough assets that the estate tax and GST are serious concerns. Additionally, dynasty trusts are also useful for people who would like to have some say as to how their money is spent after their deaths because dynasty trusts can sometimes be used to control such things. If you believe that your estate planning could benefit from the use of a dynasty trust, contact a Long Grove estate planning attorney today. Our firm helps handle tax planning issues for clients across the northwest suburbs, including towns like Riverwoods, Barrington, and Kenilworth.